Eight years ago, Jane Ostericher’s garden wasn’t thriving, so she asked her green-thumb friend for help with the problem. Within a matter of seconds, she was told frostbite was to blame for her decaying shrub. Impressed with the diagnosis, Jane asked her friend how she knew the answer so quickly. That was the first time she had ever heard about the Master Gardeners. What started off as a small clinic at the Tacoma Mall in 1973 in response to increased demand for home gardening advice, quickly turned into an international phenomenon that is now found in every state in America. Each year, Master Gardener Programs provide hundreds of thousands of pounds of fresh produce to senior centers, food banks, and other communities in need. 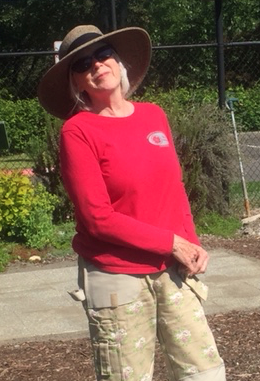 There are Master Gardeners in every county in Washington State, with over 400 volunteers residing with us locally. 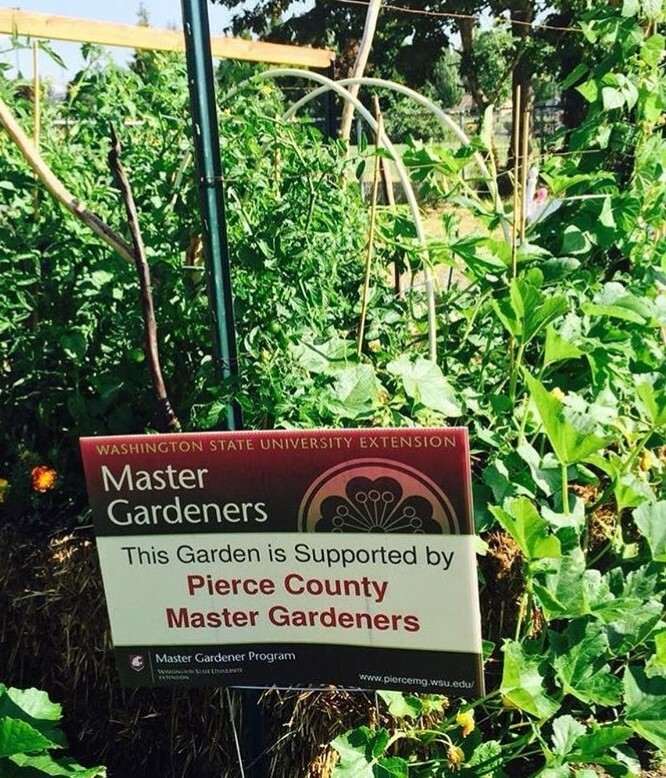 Pierce County helps fund the Master Gardener program, part of Washington State University’s Extension. 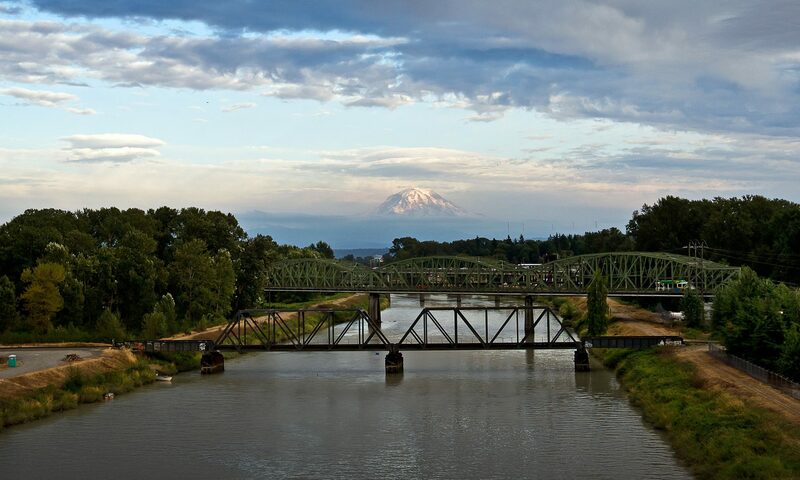 Extension works with residents, businesses, and organizations to build their capacity to find solutions for local agricultural issues and improve their quality of life. The Master Gardener program trains individuals in the science and art of gardening, and focuses on conserving and enhancing natural resources. But you don’t need a biology degree to become a Master Gardener. Sometimes you just need a big heart. 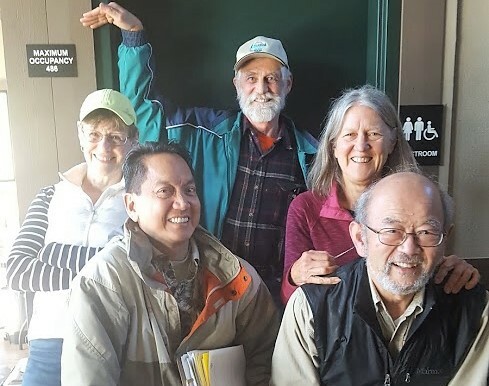 Since 2009, Pierce County Master Gardeners have supported the Tacoma Community College horticulture program at the Washington Correctional Center for Women by supporting faculty in educating inmates about sustainable gardening. With the program’s support, the women grew over 8,000 pounds of fresh produce that was served in the prison cafeteria. Master Gardeners provide a valuable public service by sharing sustainable gardening information through a variety of programs to people of all different skill levels. Last week, they wrapped up their summer gardening program for children with the Dr. Seuss Extravaganza, where themed costumes were encouraged. To engage youngsters, volunteers relate the fundamentals of gardening to favorite pastimes of children to create classes that are fun and informative. 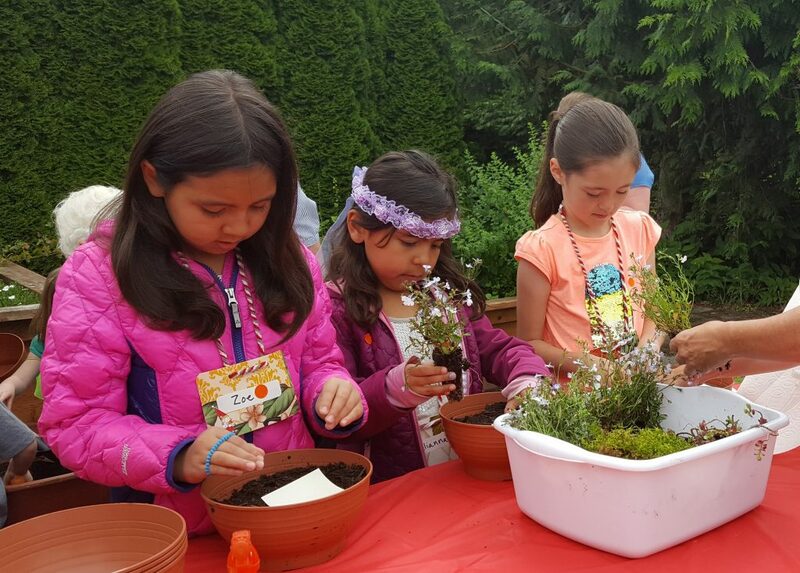 With fun topics that include fairies, gnomes, and tic tac toe gardening, it’s no wonder this summer program is popular with families in the South Sound. Even though many of their activities are kid-friendly, Master Gardeners say people of all ages can find something they enjoy. If you’re passionate about sustainability and helping the environment, attend a rain garden workshop this fall to learn how to design your own, which can effectively remove 90% of nutrients and chemicals in rainwater runoff. If you are looking for low-impact exercise, work in a demonstration garden to provide safe and consistent movement that burns calories and keeps you limber. If you enjoy problem solving, volunteer in the clinic where you can examine live samples, conduct research, and diagnose plant problems that are damaging residents’ gardens. To learn more about the program, attend an informational session, check out their Facebook page, or visit a demonstration garden near you to see (literally) the fruit of their labor. There are two learning tracks you can choose from, and training is held from January to March each year. You can apply online or in person, but applications are due no later than October 31st. There is a small fee associated with Master Gardener training, but there are funds available to financially assist those in need. If you are passionate about gardening, looking for a new hobby, or want to further your education, I encourage you to become a Master Gardener.